Spanx's shapewear is expertly engineered to visually smooth your figure. These 'Thinstincts' shorts rise high on the waist and are targeted to slim your lower stomach and hips - internal gummed strips keep it from folding or pinching. 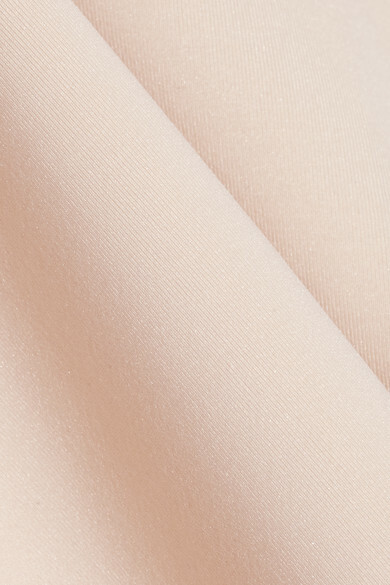 This beige pair has a thin, barely-there fit that seamlessly layers under pants or dresses. Wear it with: Stella McCartney Bra, Diane Kordas Necklace.